Really, why? A lot of people play and study chess. However, only 1-3% of players have really good achievements (titles, prizes…). What is different about this successful minority from the rest? It is NOT a matter of talent. I have observed thousands of different players, and I can state it with confidence. 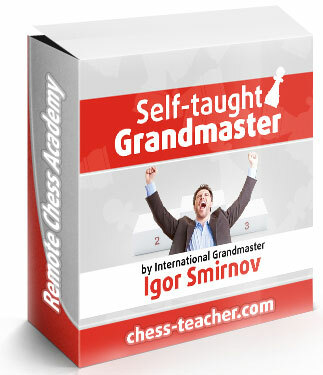 Yes, you need to have chess talent for the highest chess achievements (over 2600-2700 rating). However, anyone can become a titled player and get +200-300 rating points. It depends on your TRAINING. At the same time I know a lot of players who study chess 8 hours a day (more than many GMs), but don’t have any real progress. Thus, the major factor here is not how much you train, but HOW you train. Here we come to one of my favourite topics – an effective training.